Khat is an internationally used, shrub‐like plant with stems and leaves that contain natural stimulants. Here are five things you may not know about this drug. Khat is a shrub-like plant with stems and leaves that contain natural stimulants. Here are five things you may not know about this drug. Khat is traditionally from East Africa and the Arabian peninsula and has been used for centuries by people in those regions. Users often chew khat and hold it in their cheek (similar to chewing tobacco). Others will smoke dried leaves, make them into a tea or sprinkle them on food. Khat has an extremely short shelf life, however, and loses its potency within 48 hours. This makes its illegal exports and imports a time-sensitive process. 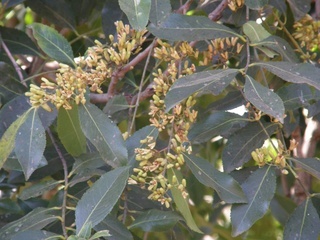 Khat contains cathinone and cathine, chemicals that stimulate the brain and body. It causes a release of the neurotransmitters, norepinephrine and dopamine, leading to feelings of euphoria, arousal and alertness. Some negative side effects of long term use of khat include weight loss, malnutrition, gastric disorders, insomnia, liver damage, depression and heart problems. Khat, being a natural plant-based stimulant, has been a debated issue regarding its legal status. Currently, it is not scheduled under the Controlled Drug and Substances Act. It is, however, considered a Schedule I drug, meaning it is illegal both recreationally and medically.